Raging Bull is a great online, multi-platform casino. It offers more than 250 different casino games, including network jackpots. Raging Bull offers many enticing bonus packages to get you spinning. The Raging Bull website itself is very credible and what's more, the entire design is thoroughly professional and comprehensive – the navigation is quite seamless. When it comes to the mobile version or the Instant Play version of the casino, Raging Bull casino offers a range of different slots, table games as well as specialty games and video poker. There are a total of around 64 slot games which include some of the most interesting titles such as Spirit of Inca. This is a progressive jackpot slot game with a serious payout. There are 13 table games that include Perfect Pairs, Pontoon, Baccarat, Blackjack, Keno, Craps as well as Let Em Ride. When it comes to the video poker category, you can choose between 14 different options. The varieties abound, there’s no doubt about it. What is more, there are HD and 3D games on the site as well. They are found under the section labeled as “new”. 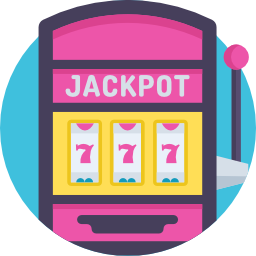 There is a slight discrepancy between the number of claimed games and the games that are actually found in the online casino but it goes without saying that those that are there are certainly worth it. 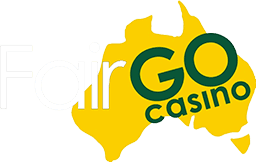 That’s something that we tend to look analyze here on Australia Casino. The developer behind the software for the Raging Bull Casino is Realtime Gaming. Known as RTG, this is one of the most reputable development houses out there. The company is responsible for some of the most popular online casino games and a lot of other casinos as well. Playing real money slot games on the site is absolutely delightful thanks to the comprehensive software delivered by RTG. The site is mobile-friendly which is undoubtedly something worth accounting for. The website looks and works awesome on a phone or other mobile devices. This is something that you ought to take into account as it contributes to the overall experience. Unlike some of the other online casinos and their mobile versions, this one does indeed offer some splendid details. The page provides information that you need. There is also a QR code that would enable you to load the Raging Bull Casino site immediately on any mobile device. The main currency of the gaming venue is US dollars. However, it is important to note that it also accepts bitcoins as well as other fiat currencies. The payment methods abound, which is undenia bly something that you would want to take into proper consideration. You can make a deposit through Visa cards, bitcoins as well as MasterCard. Also, you can use Skrill, NETELLER and EO Pay for players from other countries. The withdrawals are usually made through the same banking option that you use for the deposit – this is something quite important and you should most definitely keep it into proper consideration. All in all, the thing that matters is that the casino is a reliable venue which is thoroughly secured and it delivers a lot of different opportunities. It’s a venue that can be used on your mobile device anywhere you are as long as you have access to the internet. This is definitely one of the best things about it. Additionally, Raging Bull does offer splendid customer service and support. It is something that attracts players across a range of different countries. Claim your $50 no deposit bonus now! Charge in for big wins at Raging Bull today! Casino bonuses are obviously a very important part of it all. Raging Bull Casino manages to offer a range of comprehensive bonuses, promotions, and numerous rewards. Starting off, there is a $50 no deposit bonus. That’s right – you get $50 for free without having to put in a dime from your own pocket. There is a wagering requirement, of course, which is set to 35x your bonus amount. The maximum cash out on this one is set to $100. While fulfilling the bonus itself might be a bit challenging, it’s sure a nice start that you can take advantage of. The match-up first deposit bonus is definitely one of the things that you might want to look into. The casino offers 200% Match Up Bonus of up to a total of $400. You need to use the bonus code RBC200 to unlock it. There is a wagering requirement which is the same as the one for the no deposit bonus. The maximum amount of cash that you can withdraw under this promotion, however, equals 20 times your initial deposit – this is something more substantial. There are a few different other promotions as well. You can get 50 free spins with the RBC50 code or you can get specialty bonuses depending on the day of the week. 50% match up bonuses are available on Mondays and 60% match up bonuses are available on Tuesday. As you can see, the opportunities abound.